A Tri-State community is coming together to remember one of their own. 72-year-old Darla Smith tragically died this week after being hit by a wrong way driver who police say was high on meth. William Buckman is accused of causing the four car pileup Tuesday morning. On Wednesday, a candlelight vigil was held to remember and honor Smith’s life. One year ago, 44News spoke with Darla for a completely different story. If you ask those who knew Darla Smith, they say she was sweeter than anything she ever baked. “She was just a terrific, terrific lady. A friend to anybody that knew her,” says Cate Sisco, Piece of Cake owner. 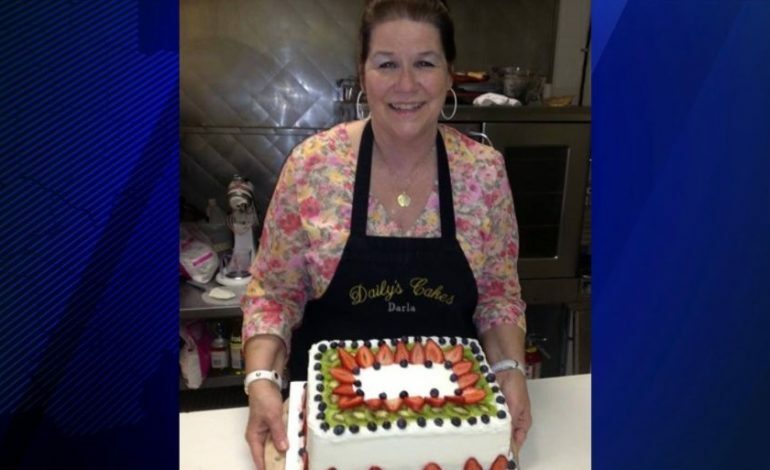 A woman many say was known for her passion for baking, her leadership in the community, and her deep love for others, but whose passing has left a void in many hearts. “She was just one of the kindest people that you’d ever meet and we’re going to be suffering a huge loss now that she’s gone,” says Nikki Warner Davis, friend. “She was just so genuine, so kind, so sweet, you can’t replicate that,” says Melissa Tines, Jacobsville Neighborhood Improvement Association President. Out of her corner bakery on North Main and Delaware Street, she shared much more than her baked goods. Darla Smith was one of kind. “This right here is an example that somebody with the right attitude, the right drive, can make a huge impact on the community,” says Tines. And as every candle is lit, and every memory is shared, Darla’s friends say they will remember her smile that was as big as her heart. “I’m really going to miss her. She was my friend,” says Sisco. 44News caught up with a number of other people impacted by Darla and all that she’s done, and they all shared a common theme-she was an amazing person and they can’t believe she’s gone. At last check, William Buckman has not yet been booked in the Vanderburgh County Jail. Police say Buckman is facing charges in connection with that crash.